I usually avoid the Black Friday crowd, however, this year was different. I awoke with shopping on the brain and headed to the North Loop district to hit a few favorites, some with sales and some with mimosas. A good-old-fashioned holiday spirit was floating in the air, unlike the madness which comes with the Mega Stores. This kind of energy is one of the reasons why I support boutique shops. Staffed with personable and knowledgeable men and women, small stores have pride in their thoughtful selection of goods and often have stories for each item. Small shops carry items which are sometimes one-of-a-kind, handmade or hard to find. 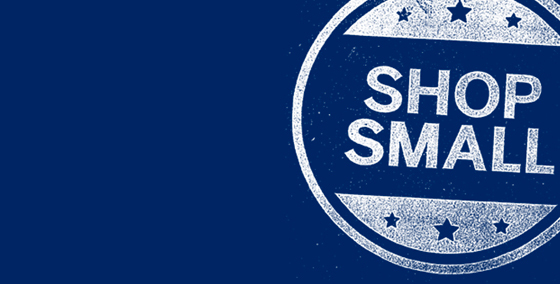 Just another reason why you all need to head out tomorrow for Shop Small Saturday! For you locals, make sure to swing by Mille where my gal Michelle will be selling her beautifully curated goods on Saturdays through December (in addition to her regular studio hours). She’ll also be selling a few of Brown Ink Paper Good items as well (Mille: 316 W 48th St. Saturday 12-5). So start supporting the small guy. Chances are, you’ll walk out with fabulous goodies and some spiced cider to keep you moving to the next destination. Here’s a bit of an addition to my post from Monday. I just couldn’t help myself. If you are hosting Thanksgiving your checklist is likely a mile long and the last thing you need is another to-do, still, your guests will love these ideas. Easy to print off, they’re sure to make the holiday unique. Be kind to yourself and give thanks for those surrounding you. Traditions bring a calmness and renewed spirit to my life. A few years ago I started a new tradition over Thanksgiving by asking our guests to write down something they were thankful for over the past year. The following year I placed their original thoughts underneath their dinner plate as well as a new card to fill out. It was a total hit. It was a time of personal reflection during what can be a chaotic and energetic tradition, the Thanksgiving meal. 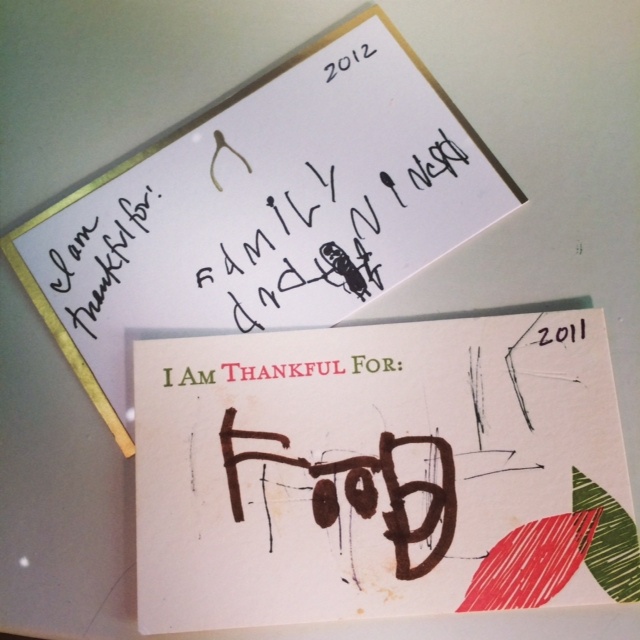 This year, if they wish, our guests will once again fill out a new card (found these Thankful Cards at Paper Source this year), document their gratitude from the past year, and be reminded of how life may have changed over the past year by reading their 2012 Thanksgiving Thankful Card. It’s a gesture guests will appreciate. 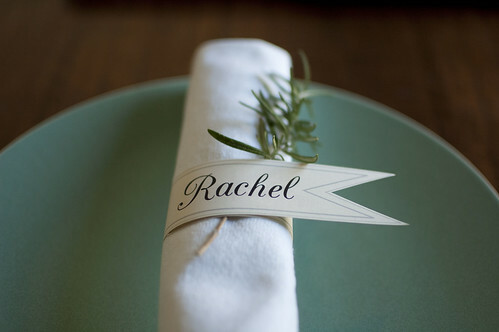 Name cards are another way to bring a personal touch to your table and it doesn’t need to be complicated. To accent your place card, grab a dozen pears or clementines or head outside to find natural goodness around you! So before you head off to pick up the turkey and puree the pumpkin, take a look at my favorite pics from Design Sponge’s Thanksgiving Table series where they’ve showcased beautiful settings created by fellow designers over the past few years. Inspirational to say the least! Known for his nature-filled aesthetic, John Derian believes place cards create an even flow on the table. 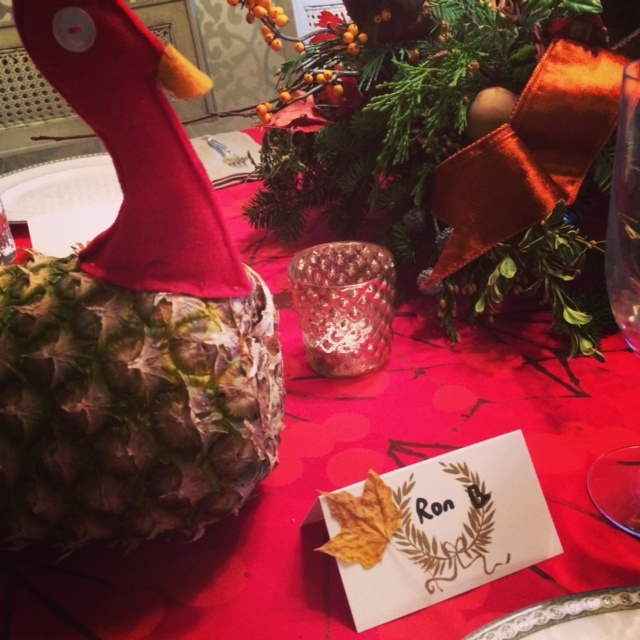 Here he uses his own name cards to create his charming Thanksgiving table. Designer Matt Armendariz uses wrapping paper tied to gourds with blue string. My favorite store in Portland, OR, Alder & Co. keeps the table minimal yet stylish. I love the salut! name cards with the simple gold bell attached. Keep it simple for Thanksgiving, maybe create a new tradition and reflect just a bit before enjoying that second or third piece of pie. Most people don’t think of Thanksgiving as a card-sending holiday. I do. No one is expecting anything in the mail besides junk mail and loads of holiday catalogues. 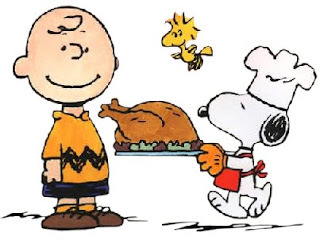 So why not wish a friend a peaceful Thanksgiving, (especially if you know they are hosting a bus load of relatives and friends), or send a simple reminder of your feelings of gratitude. I was tickled this week to open the mail to this sweet card from my friend Nellie. Wiley Valentine makes classic cards with a twist of humor in each one. You can personalize your card with this Turkey Propaganda from Treat. Looking for a kid project? 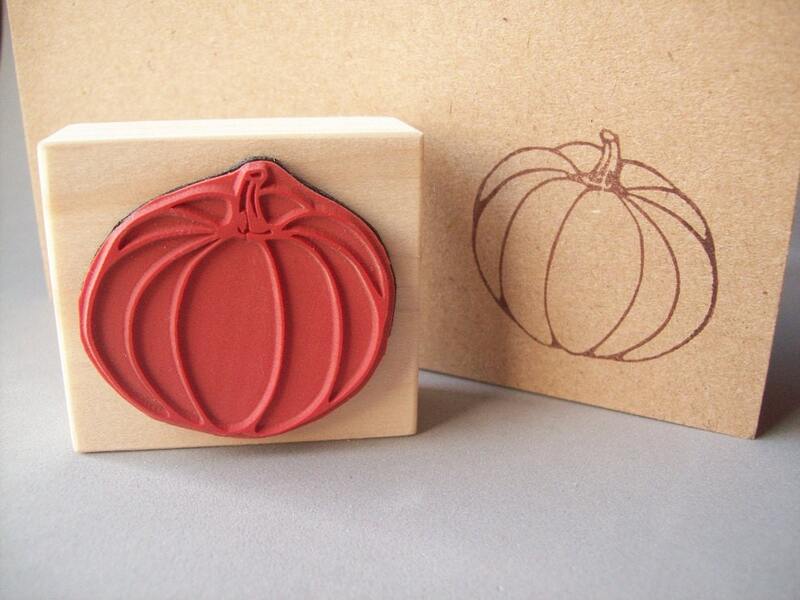 Stop at Paper Source or your local craft store to grab a pumpkin or turkey stamp and start making a mess your grandparents will love to receive! Or handmade greeting cards can be an extension of thumb painting and turned into beautiful greeting cards for Thanksgiving. My friend Sarah over at The Paper Chronicles mentioned a card perfect for your vegetarian friend. Created for an original handcut collage, La Familila Green finds humor in the obvious. Sarah also pointed out the number of cards received on Thanksgiving is a surprisingly large one…15 million. Wow. 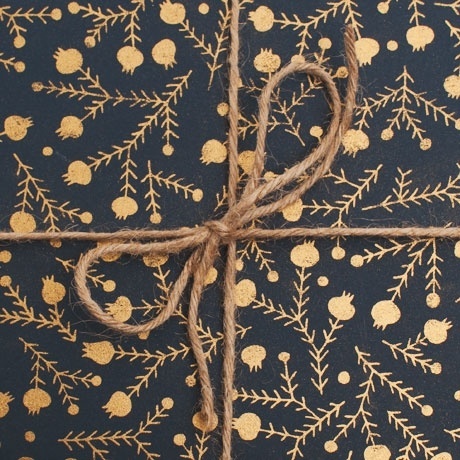 My absolute favorite Thanksgiving card is one sold right here at Brown Ink Paper Goods, lucky you. Hartland Brooklyn’s So Thankful For You is fabulous to have on hand any time of year. 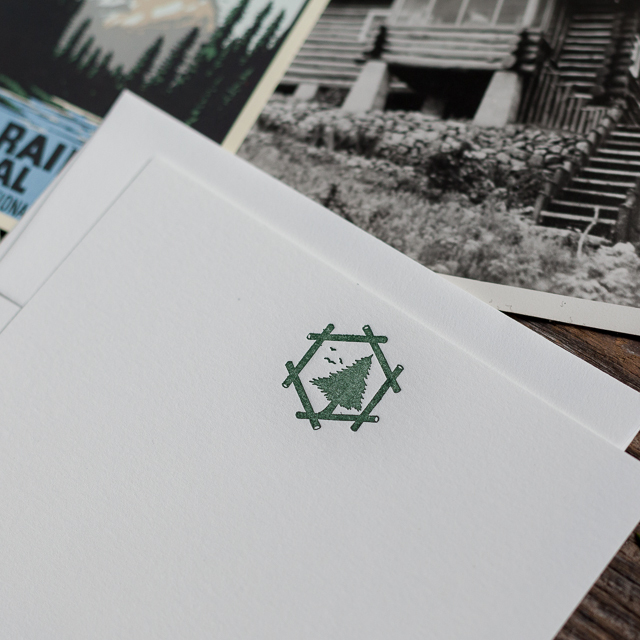 Why not send a card on a day when a friend least expects a handwritten correspondence? It’s good for everyone’s soul to share your gratitude. Back from four days in Disney World and my head is spinning. Nevertheless, I’m super geared-up for a week of Holiday Boutiques for all of you in the Twin Cities. It’s the perfect time to pick up holiday gifts at pop-up-shops and boutiques before the madness of Black Friday and December shopping sets in. Why not enjoy browsing locally made products vs. hitting the mall a month from now? Brown Ink Paper Goods is excited to be selling a variety of goods at two shows this week. 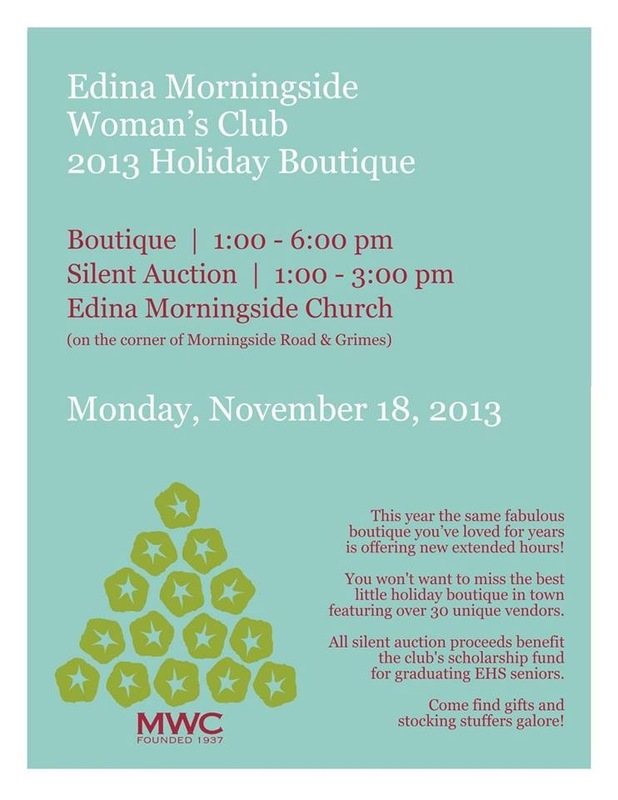 Don’t miss the Edina Morningside Holiday Boutique tomorrow afternoon in the Morningside neighborhood of Edina, with a fabulous variety of vendors. 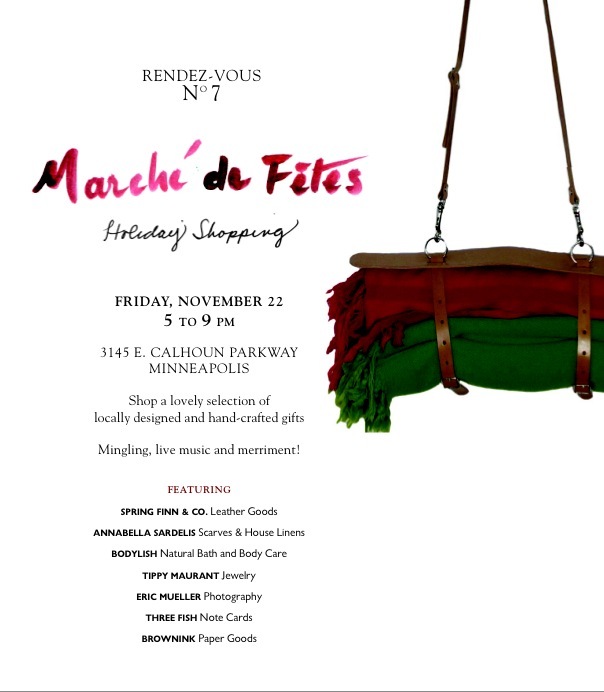 We’ll also be a part of Marche de Fetes in Uptown this Friday night, a group of locally designed and hand crafted gifts. Come grab a glass of wine and groove to the music as you purchase some unique and local goods! Lastly, a big shot-out to Ali Kaplan who featured Brown Ink on her Ali Shops blog last week. Make sure to subscribe to her weekly Swag newsletter with the latest shopping and style news, events, and sales in the Twin Cities. She’s a gal in the know. Off to mail my Magic Kingdom postcards…from Mpls to Mpls. Oh well. We wrote! And do make sure to get out this week.